Africa Inland Mission, International (AIM). “Will you seek a life of self-glory and applause in the entertainment world, or will you dedicate your life to My service?” Standing on the steps of the opera house, Peter Cameron Scott heard the voice as clearly as if God had taken a man’s form. In that moment, he made a fateful decision. He would obey God. His decision laid him in a grave in Africa at the age of twenty-nine. By then he had already buried his brother John, all alone in Africa. Was it worth it? Peter was born in Scotland (where he once attended a Dwight L. Moody evangelistic meeting and was deeply moved by the singing). 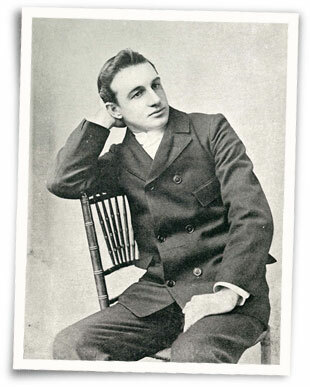 His family moved to Pennsylvania when he was a young man. Christians, they refused to allow him to enter the field of opera. Instead, at twenty-two, he joined the Christian Alliance Training Institute in New York. This was one of the works founded by A. B. Simpson, which became part of the Christian and Missionary Alliance. Peter was too impatient to finish the course. Africans were dying without knowledge of Christ. He gathered seven eager young men and they sailed for the Congo. Peter’s brother soon joined him. Before many months, with his own hands, Peter buried him. John had contracted one of the dreaded diseases of the Congo. He rose with renewed determination and hope. He returned to America and founded the Africa Inland Mission. When he went back to Africa, it was with a new team. On this day, October 17, 1895, the men landed at Mombasa, Kenya. Peter did not know it, but he had less than fourteen months left to live. He pressed inland to plant missions and share the gospel. His efforts were heroic. However, few Africans turned to Christ. Peter contracted deadly blackwater fever. He died on December 8, 1896. After his death, his teammates also died one by one. Others came to replace them, some carrying their supplies in coffins! Such dedication eventually opened the hearts of the Africans. In time, several African nations became largely Christian. Kenya is one of those. With less than 1% Christians in 1900, it is 79% Christian today. 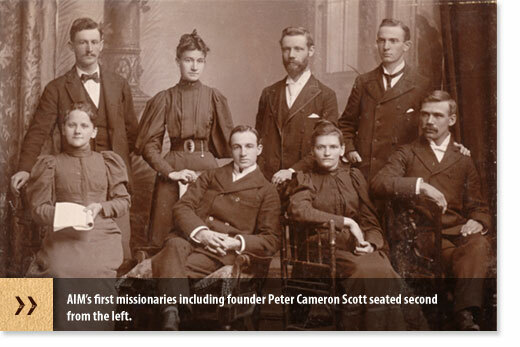 Peter Cameron Scott helped plant the seeds for that church growth. This entry was posted in GUEST POSTS, HEROES OF THE FAITH, HISTORY CHANNELS, MINISTRIES WE SUPPORT and tagged Christian history, Christian life, heroes of the faith, Peter Cameron Scott. Bookmark the permalink. Thanks Be to God the Everlasting Father and Prince of Peace, Hope for the Hopeless ,I appreciate and thank God for the Coming of Rev.peter cameron Scott to Africa .of today am one of Pastors among many more My He rest In Peace as we are and will not giving Up the Ministry till the whole world is Free. Glory to God, we came to know and believed in Jesus because they paid the price to bring us the Good news, let’s us be willing to pay the price in order that the next Generation may know Jesus.